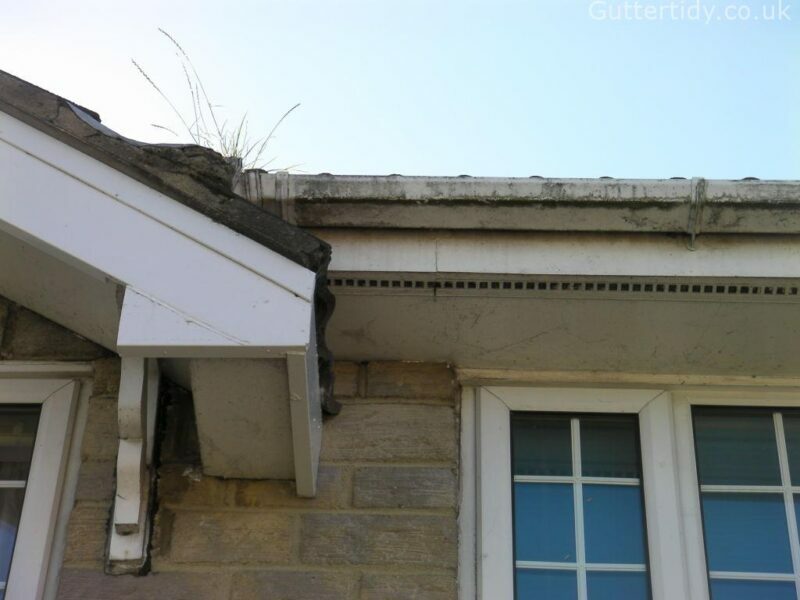 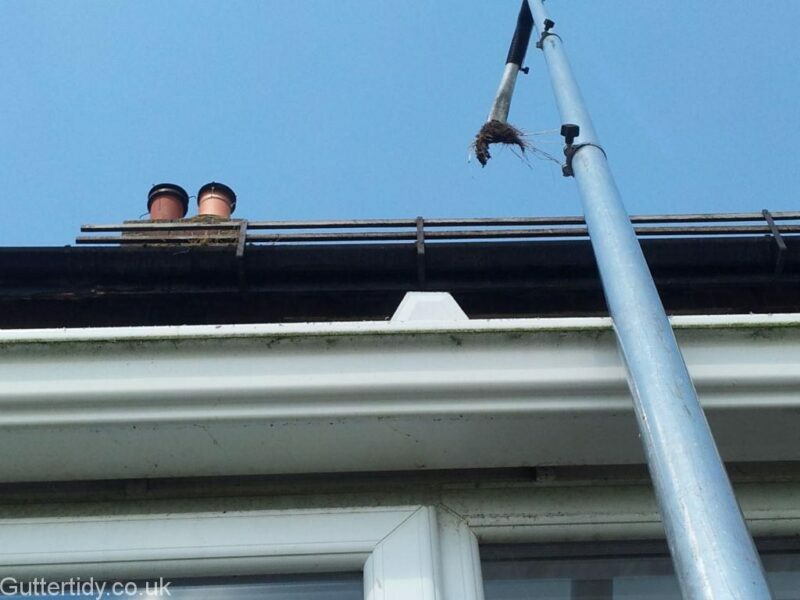 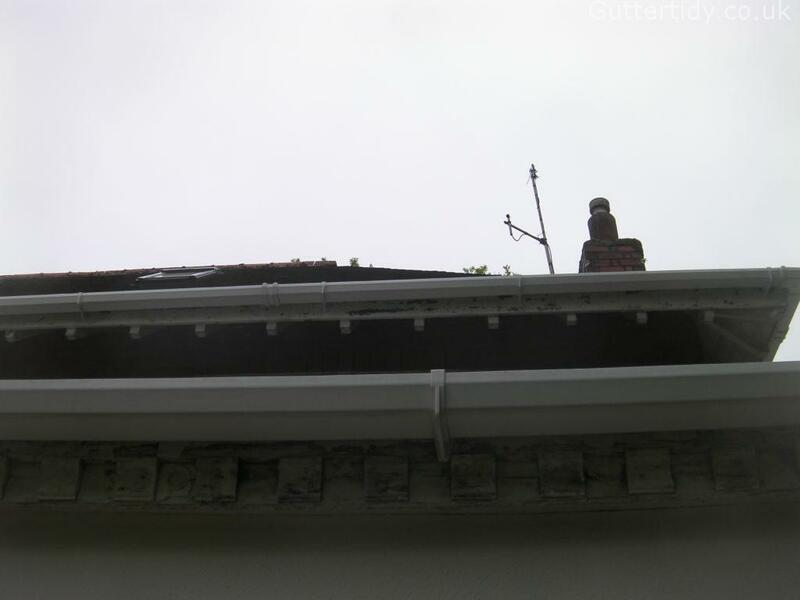 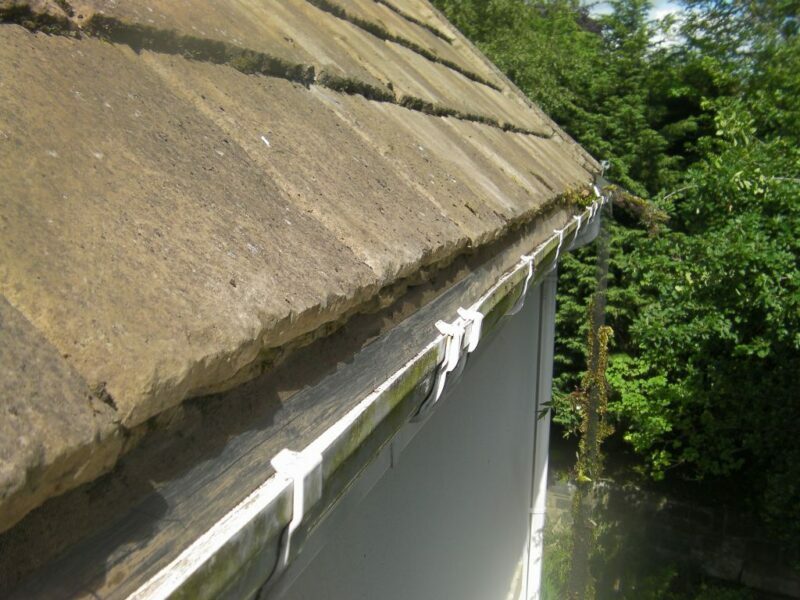 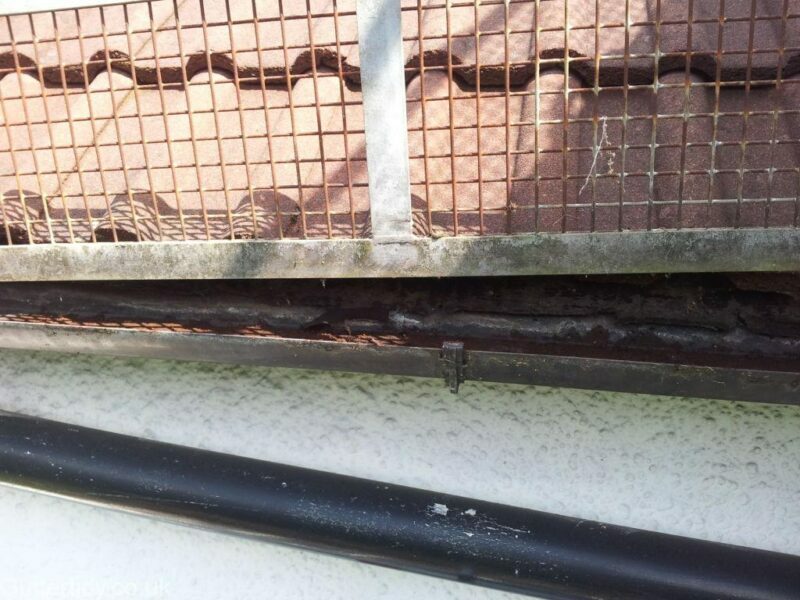 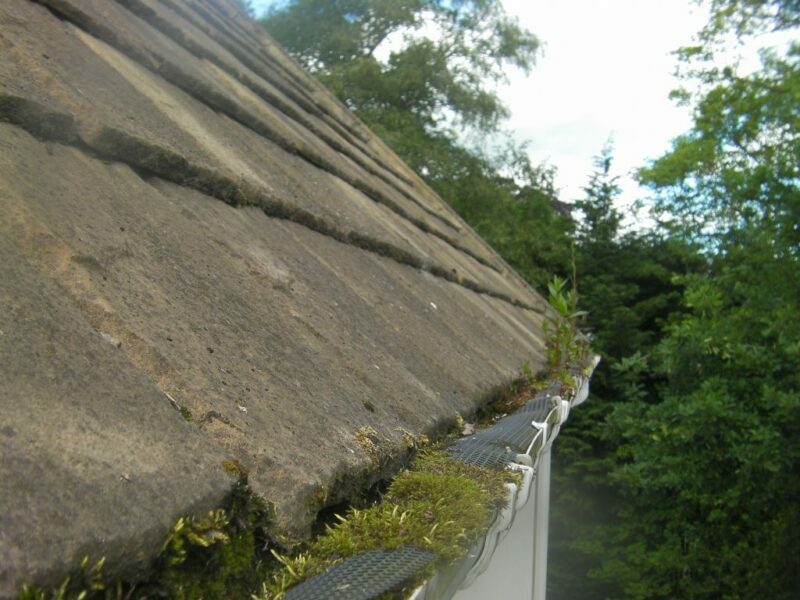 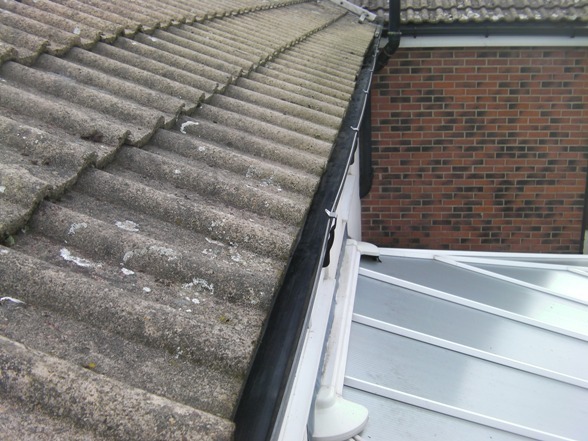 Often with blocked and overflowing guttering the exterior of the guttering becomes affected too, especially on white PVC where it can become stained with algae and moss. 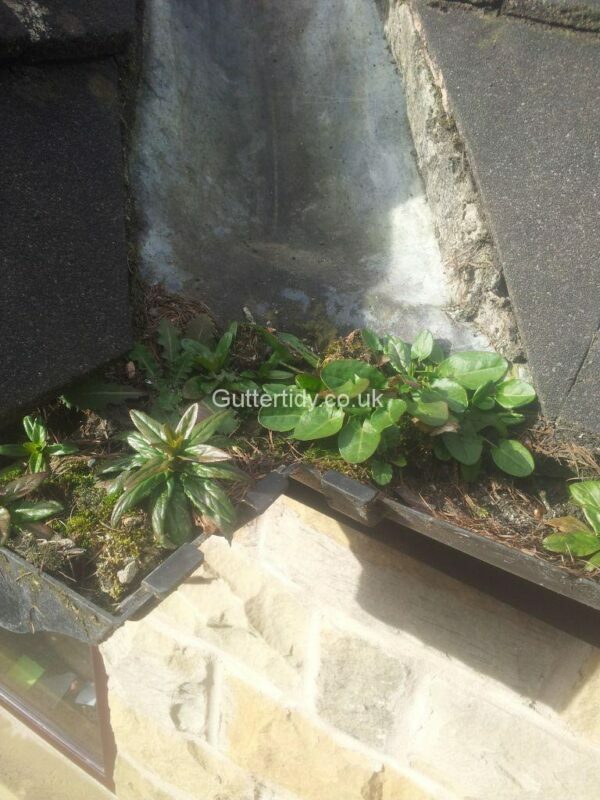 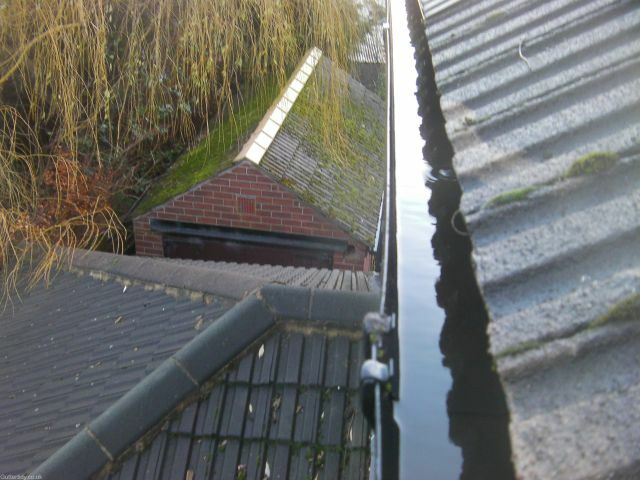 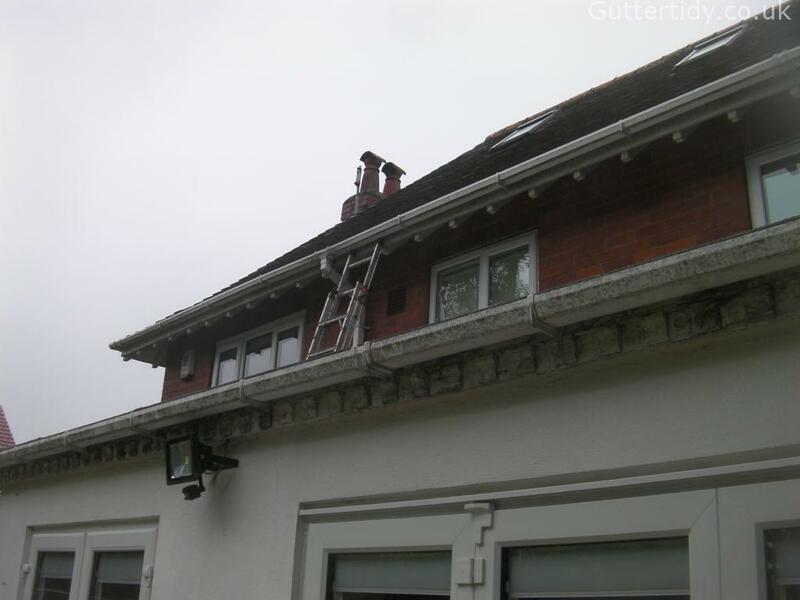 We can clean various but not all types of exterior guttering, soffits & facias, including gable ends. So don’t hesitate to ask when booking a quote. 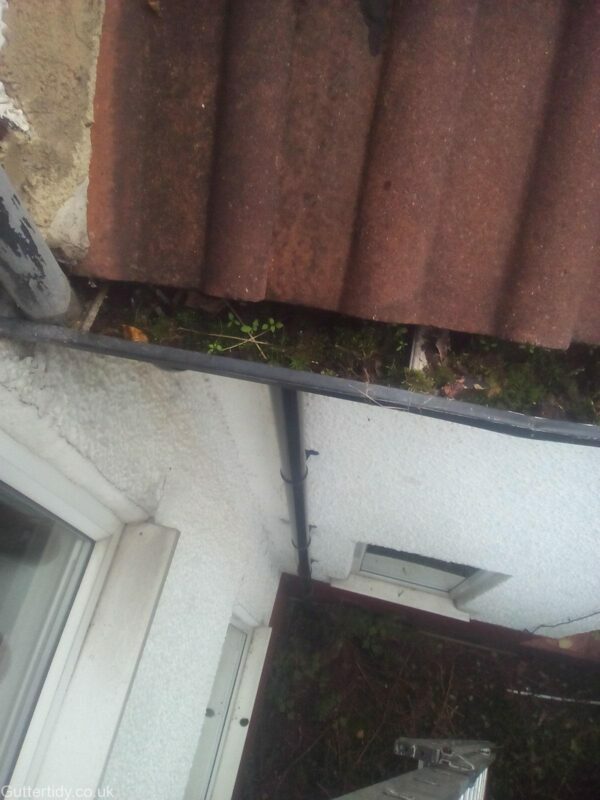 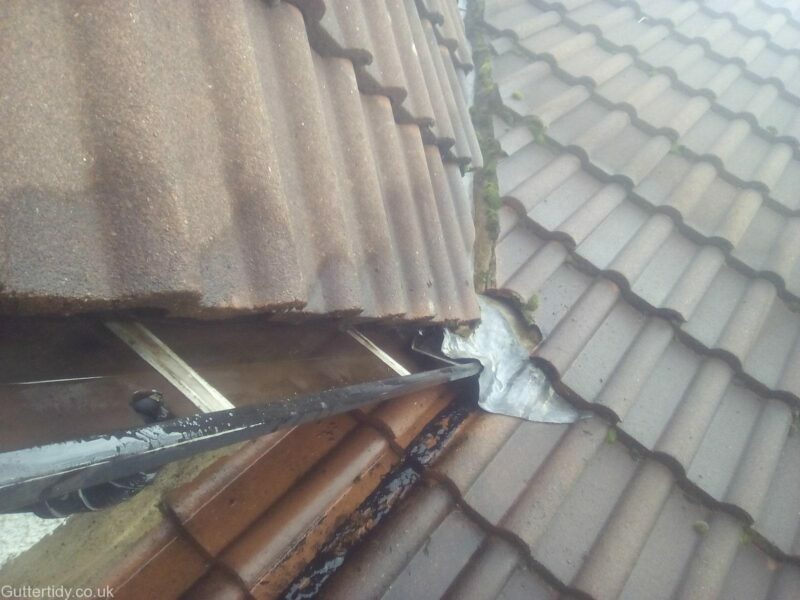 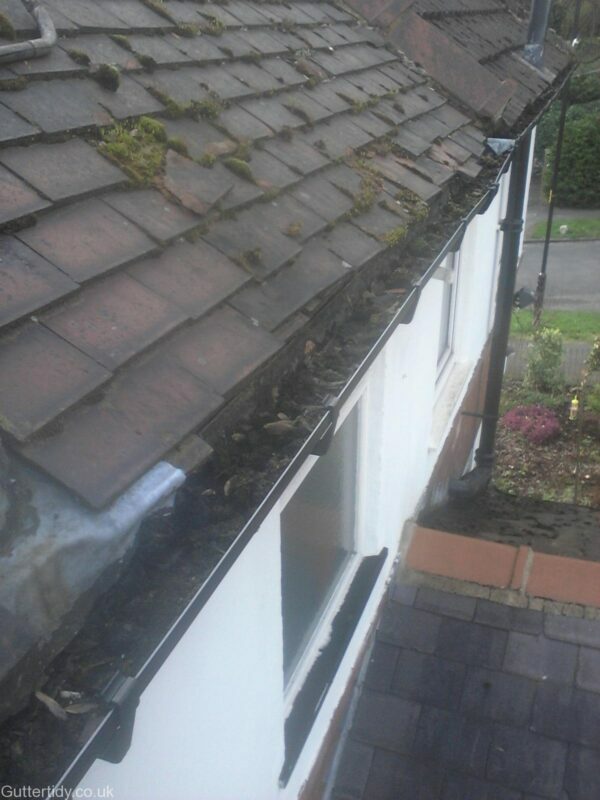 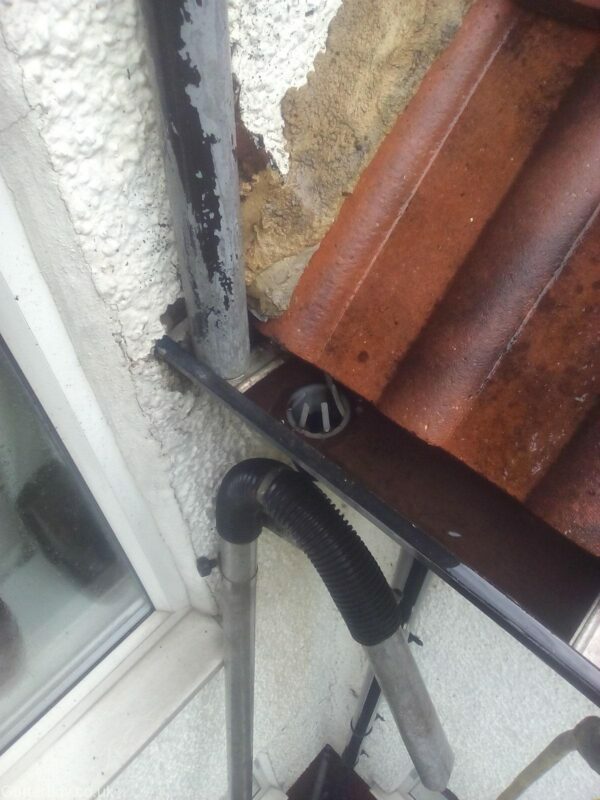 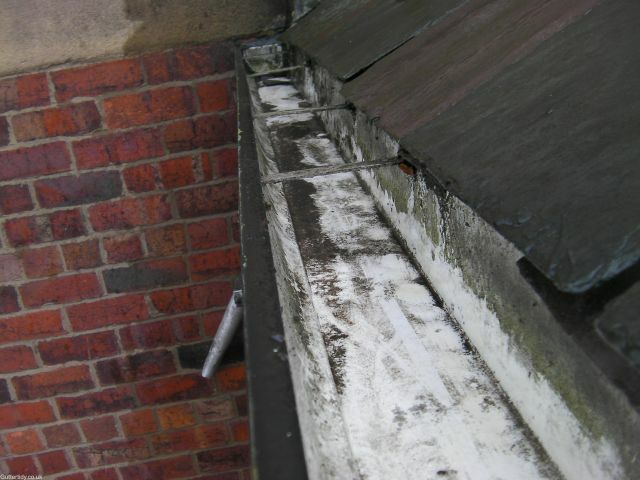 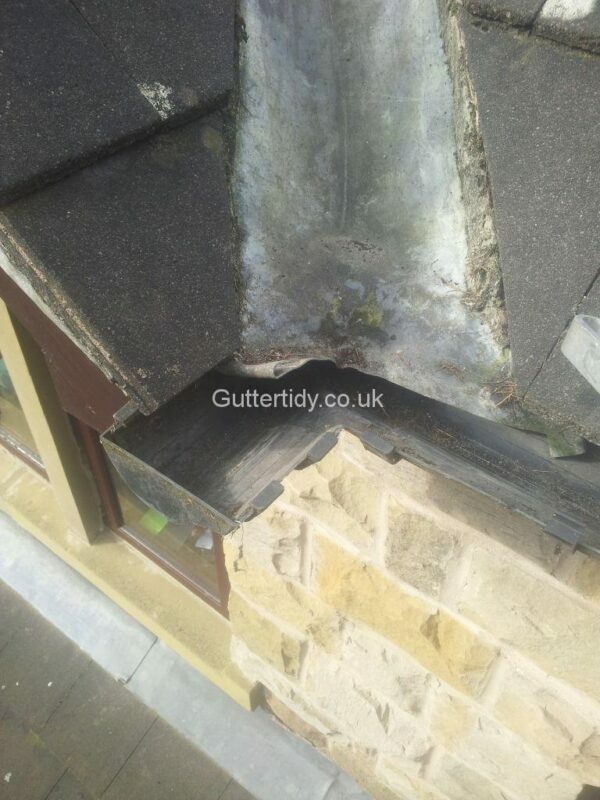 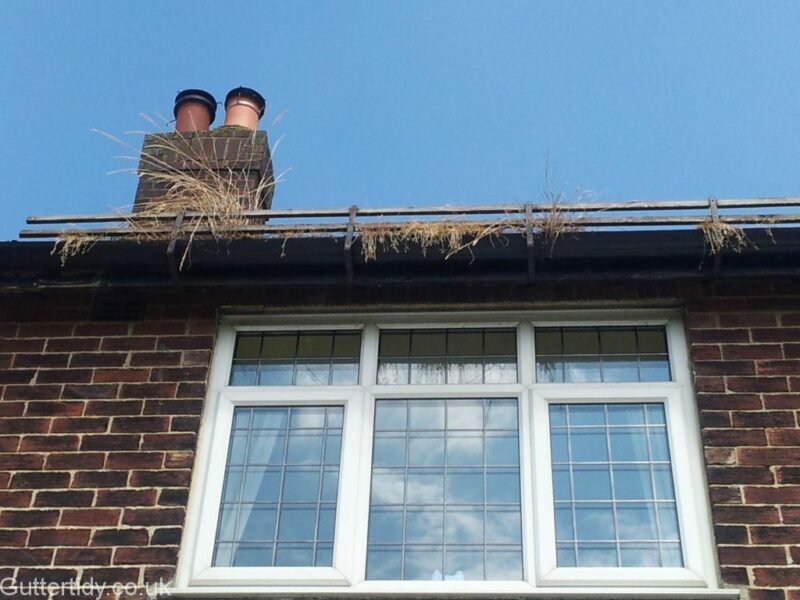 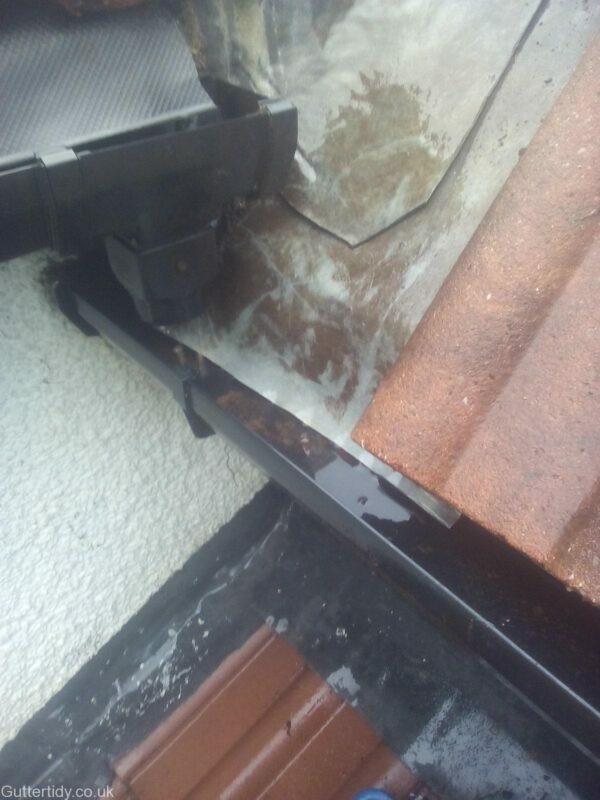 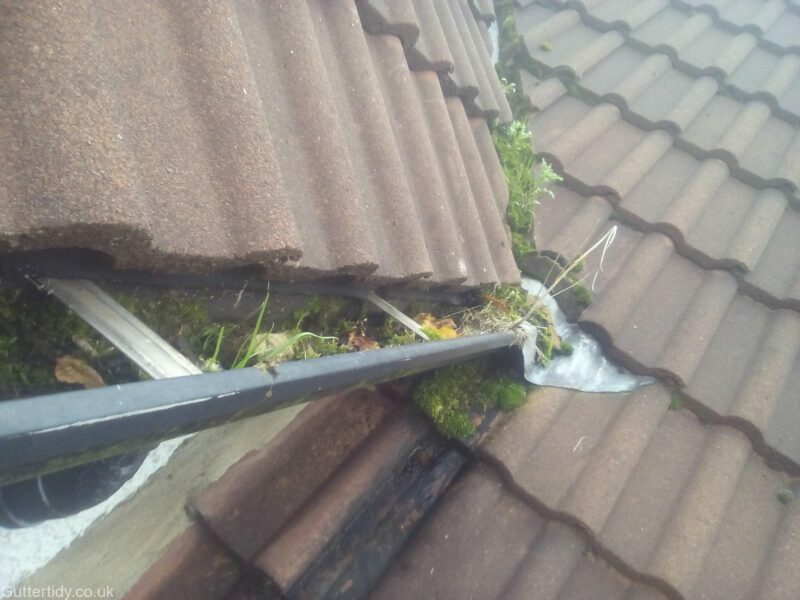 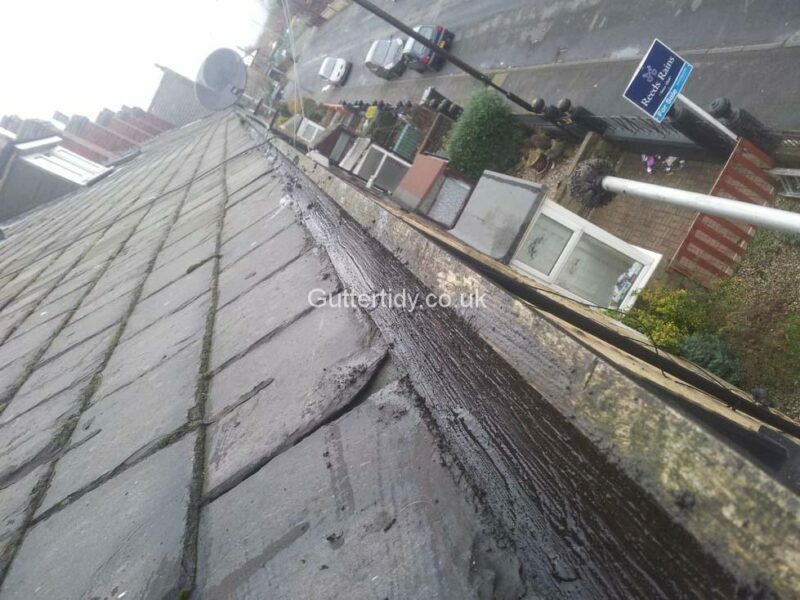 We generally avoid gutters and facias where the paint has begun flaking away, however, there are exceptions and the particular job below is a perfect example. 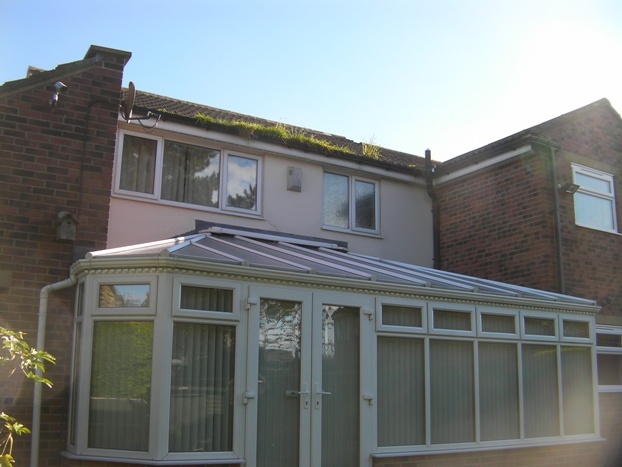 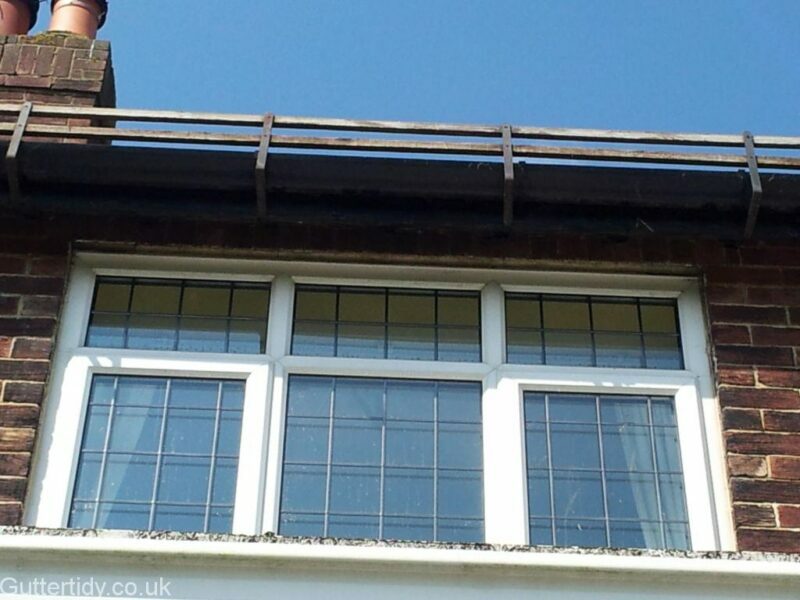 The guttering is PVC but all the facias and soffits were wooden, painted and flaking badly. 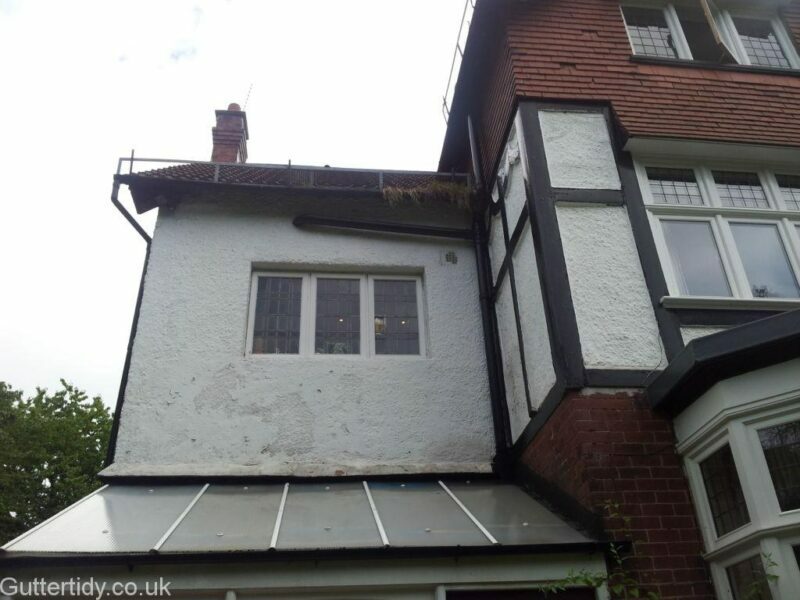 The owner said it didn’t matter as they were all going to be repainted. 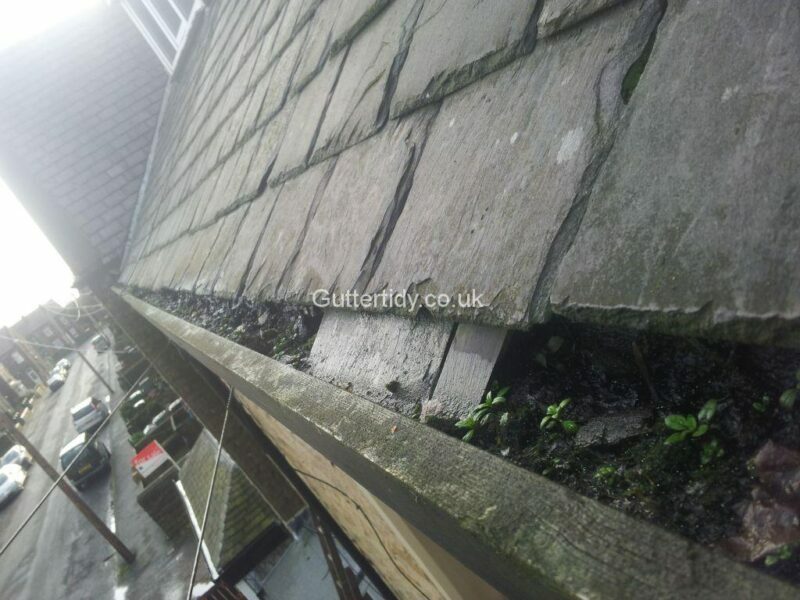 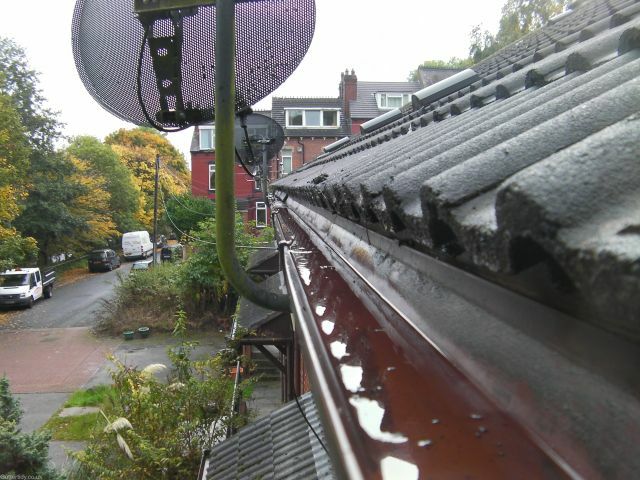 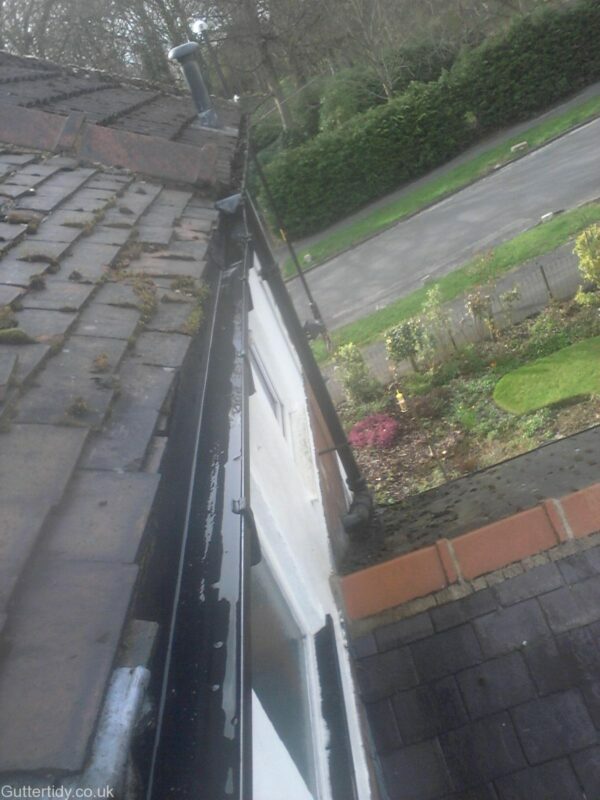 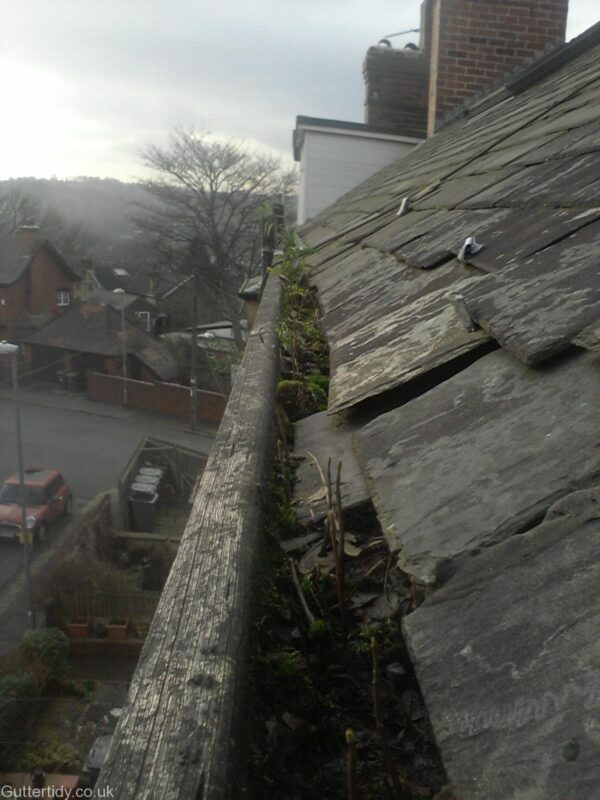 We cleaned his guttering and saved the painter a fair bit of work as we got a lot of the loose flakes off too. 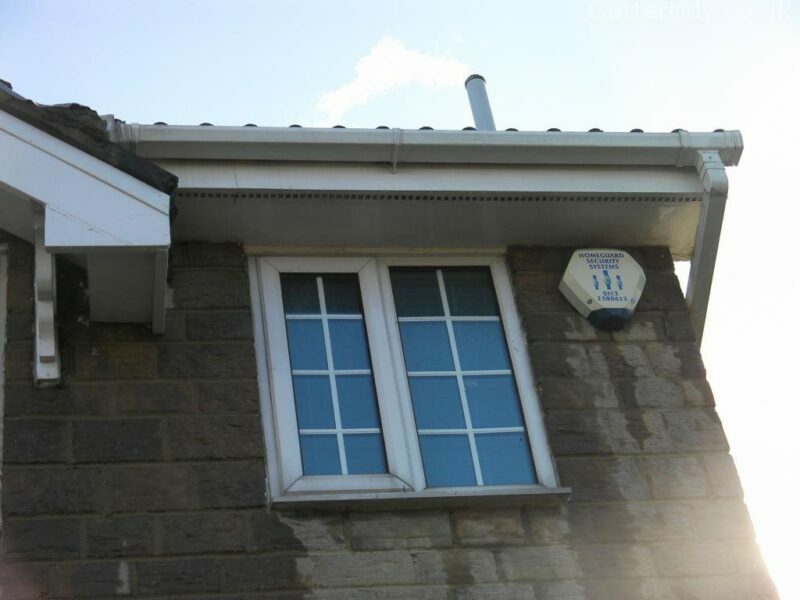 It’s clearer on the top facia if you expand the picture.